Ebook sales, digital textbooks and all forms of digital publishing are rising, thanks to the iPad. iBuildApp’s free tool creates easy digital iPad publishing for the novice. Thanks to the Apple iPad and new tools from iBuildApp.com, digital publishing is easier than ever. 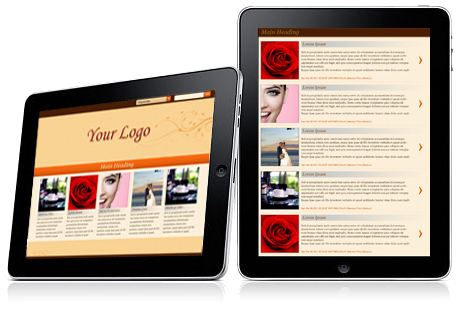 We recently added an iPad publishing solution to our suite of iPhone templates designed for the non-coder. iPad publishing has created new revenue streams for businesses who can publish materials without printing and shipping costs. The iBuildApp iPad solution will be integrated with blogging and CMS platforms for easy publishing. Create your own iPad magazine, catalog, or book app. Our solution has templates, is automated, and totally free to create and update. See it here: http://ibuildapp.com/ipad_self_publishing/. “We want people to be part of the trend of digital publishing. It’s a great way to build a global audience around your niche without the cost of print. With iBuildApp’s publishing tool you don’t need a developer. It’s easy and free to publish your monthly magazines, newsletters, catalogs, or books on the iPad,” said Rafael Soultanov. The solution also delivers a good experience for the reader. “We believe that a digital magazine or newspaper should feel like a media app, not like a magazine reader,” said Soultanov. When someone swipes from page to page they can choose different stories to read. Images are vivid, video is optimized. If a reader wants to comment or share what they’re reading, they just tap a button. The fully functional publishing app takes just 2-3 hours to create and publish content. 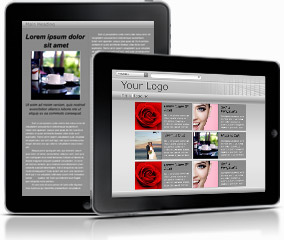 Just copy/paste content into our pre-made templates for the iPad, for free. Services make it less complicated for authors to publish and manage their own publishing (magazines and books). By using a service, publishers can focus on their content and leave the formatting, publishing and distribution to iBuildapp. Unlike other services iBuildApp Self-Publishing Solution provides authors with a free online editor, free formatting and design templates and integrated publishing for iPad and Web.